Around 5:45 this morning, the skies over greater Bangor came alive with the dull roar of 2 Israeli Air Force Boeing 707 refueling tankers as they sped down the runway at Bangor International Airport. Soon thereafter the first flight of 5 F-16 Viper aircraft took to the sky. The sound of of jet fuel roaring through the afterburner engines woke many who were still in dreamland. The 5 F-16’s roared down runway 33 climbing out over Hermon and Glenburn on their way back home. The Israeli’s were visitors to the Queen City for the 2nd time in just over 3 weeks. The first as a stop off en route for yearly training exercises at Nellis Air Force Base in Las Vegas Nevada. The exercises, named Red Flag are put on by the U.S. Air Force and bring in some of the elite air combat squadrons from allied countries to train in combat situations. This Red Flag, 16-4, the 4th and final Red Flag exercise of 2016 came to a close on Friday the 26th. Other participants at Red Flag 16-4 included squadrons from Spain, the Royal Air Force, Pakistan and the United States. Support crews packed up and arrived in Bangor yesterday for an overnight stop before lighting up the Tuesday morning sky. Arriving on runway 33 at Bangor International, local traffic on Odlin Rd stopped for a close up view of the birds as they were landing, some garnering a wave or curious looks from the flight crew. 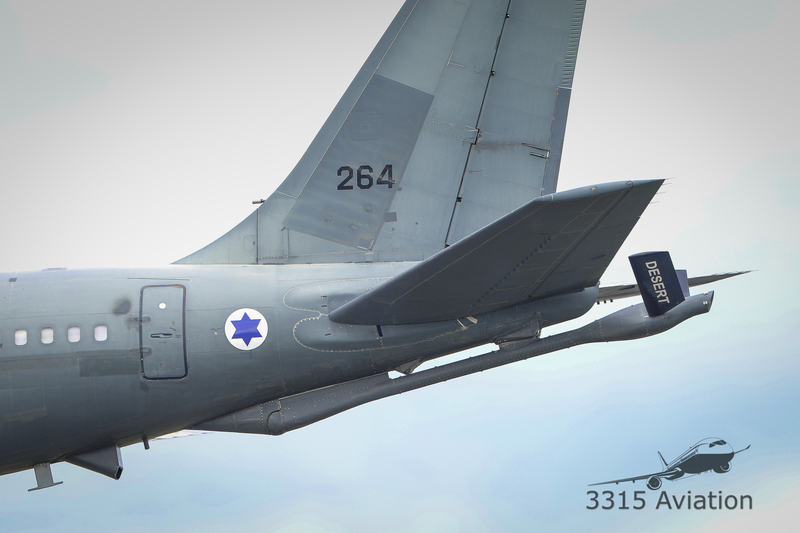 The IAF has made Bangor it’s stopping off point for trips to Nellis in prior years as well. The long runway, location, ramp area and ground support at Bangor International are known around the world. If you saw the planes yourself, or in looking at the photos, you notice a couple differences between United States Air Force F-16 C and D models, otherwise known as Fighting Falcons and the Israeli Vipers. The Israeli variants of the F-16’s include upgraded conformal fuel tanks on the fuselage just to the rear of the glass cockpit, electronic countermeasures to interfere with enemy radar, laser, sonar and infrared detection equipment, as well as desert camo paint schemes. The F-16s are capable of speeds of 1,500mph(Mach 2) and altitudes of 50,000 feet.